Your investment in test equipment for quality control and product development increases the value of your products. You will benefit knowing the products you deliver are tested and meet the quality requirements your customers demand. With GT as your partner, you are receiving over 20 years of laboratory testing knowledge and instrument calibration experience from technical experts in materials testing. GT has a wealth of knowledge in instrumentation covering a variety of industries. GT Laboratory PM&C (Preventative Maintenance and Calibration) is capable of providing calibration services for most laboratory instruments including Tensile Strength, Elmendorf Tear, COF (Coefficient of Friction), Compression, Burst Strength, Melt Flow, Impact Strength (IZOD / Charpy), etc. Tools used to calibrate your instruments at your facility are traceable and certified using industry-wide, internationally-recognized (ISO 17025) standards. The machine is then labelled and documented with a GT Laboratory calibration record. Calibration records for all of your instruments are maintained in GT own database and available to you at any time. When a calibration site visit is completed, instrument certificates are immediately issued within 1 week for your record by the service technician before he departs from your lab. Through this system of scheduled maintenance, we can help you to improve productivity. PM&C is on-site preventative maintenance and calibration services, available on a regular schedule, for your test instruments. Available for your entire laboratory, including most instrument manufacturers. A practical, cost-effective way to make sure your instruments maintain proper working performance. All certification is in accordance with the appropriate ASTM, ISO or other applicable standard. Reduce your service costs by having all of your instruments calibrated during one visit. We offer accredited calibration services you can trust for accuracy and consistency. 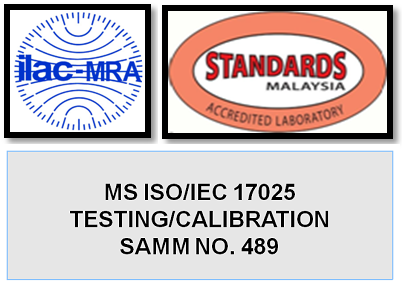 You can be assured high quality calibration service is undertaken in accordance with ISO 17025 standard that the results are globally recognised. Through a series of high-level international agreements, calibration documentation generated by ISO accredited lab is accepted by all industrialized countries. Each PM&C team member is equipped with a set of certified tools and procedures to sustain your equipment’s peak performance throughout its lifetime. A detailed checklist of tasks is carefully executed, the results of which are delivered to you by reducing the need for service calls, thus reducing downtime. GT group of companies provide Installation and Training Services to ensure smooth set-up and training for your new instrument(s). Trained professional technicians are available to install your instrument and provide training for your operators to save costly downtime and facilitate immediate use. Training is available at your facility or ours, to assist your operators with any questions they may have, and to allow you to benefit from your testing process. Drop your enquiry today and we will recommend the service that best suits your requirements at a competitive price.